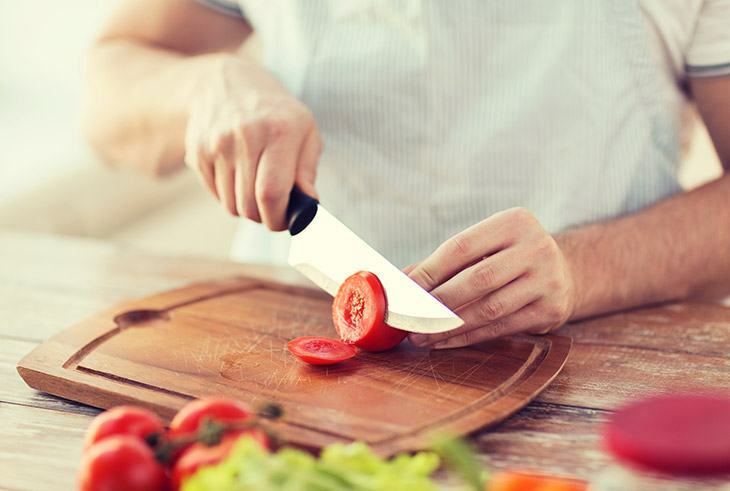 Your kitchen knives need to be kept sharp. 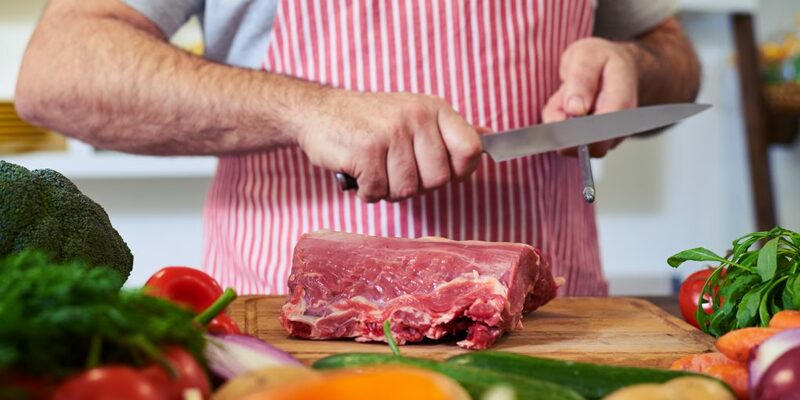 Without sharp blades, you risk injuries and dull knives also result in poorly cut food. Also, to find the knives that you like, you can always check websites reviewing the best knives. When you have a knife that has gone dull, you tend to press harder to get the cut you want. The additional pressure causes the blade to slip, and since you are applying quite a bit of weight, if a slippage causes a cut, this tends to be more profound. Uneven cuts lead to poor cooking. 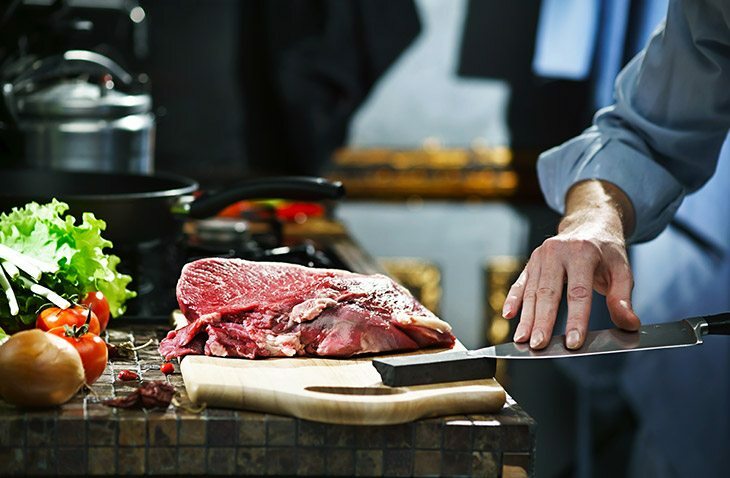 The easiest way to sharpen your knives is to take them to your local knife sharpener or the local butcher. 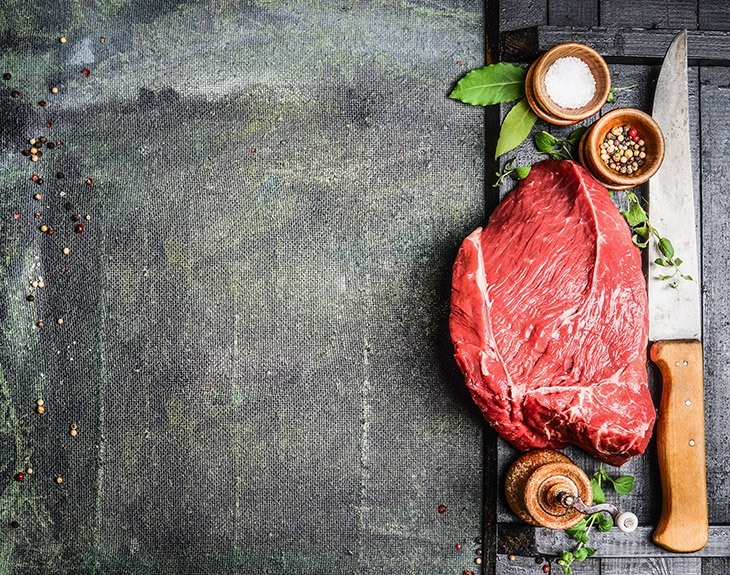 However, being able to do it yourself is convenient, and since it isn’t that complex, it would be good to learn about easy do-it-yourself tricks that would help you improve your cooking skills too. A typical knife is V-shaped. When observed under a factory-grade magnifying lens, you can see that they have double-beveled edges with differently angled edges. For a blade, the smaller the angle is, the shaper the blade is. Smaller angled blades tend to get dull faster. The loss of sharpness is caused by the friction that the blade encounters when you cut the vegetables. It is the friction that leads to wearing out of the edges. Sharpening this involves grinding away the edges to regain the angles. How sharp is your knife? Now we know that a sharp knife causes less slippage and helps cut food evenly, how do we judge whether a knife has gone dull and needed sharpening? The well-known one is the paper test. You hold a folded paper at one end, could be a newspaper or a phone-book paper, and using the blade slice outward at an angle. If the knife could do the job cleanly, then your knife is sharp enough. Another easy way to find out if the blades are sharp enough is to slice through an onion. Since onions are thin, if your blade can cut through it easily, without slipping, it is an indication that the blade is sharp. A whetstone is what professional sharpeners use and is probably the best. While there are other instruments do the job, they chip away more of the blade’s metal than when they use a whetstone. Using a whetstone is comfortable but needs some practice. You should get yourself a double-sided whetstone that is coarsely grained on one side and has more delicate grit on the other. Remember that the whetstone needs to be kept dry for it to work optimally. 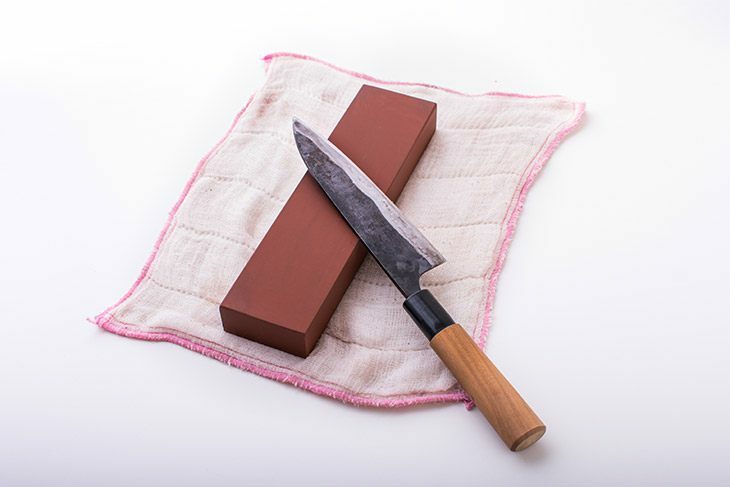 To ﻿﻿﻿sharpen your knife, place the whetstone on a hard surface, preferably on a cutting board or countertop, with the coarse side facing upwards. Put a padding beneath the sharpener so that the stone doesn’t slide off. Hold your knife with the edge placed against the stone. The front portion of the knife should be at approximately an angle of 22 degrees to the stone. You could check the specifications that came with your knife to determine the optimal angle. Slide the blade against the stone and move it forward and across the stone. Make sure that the entire surface of the blade meets the whetstone. You should do this around ten times and then repeat the same steps for the other side of the blade. Flip the whetstone so that the finer grained side now faces upwards and give each side of the blade ten slides. Once done, make sure that you use a sharpening steel to give the final polish. Rinse and wipe the blade to remove metal particles. This is the most convenient one to use at home. These come in both electrical and mechanical versions. The best part about using an electric one is that they have spring-loaded guides that helps steady the knife’s movement. Thus, you do not have to worry about holding the edge at a constant angle. The electric ones are relatively costlier, and you could easily use a mechanical one instead. The manual ones have tall walls that can help hold the knife steady when sharpening. 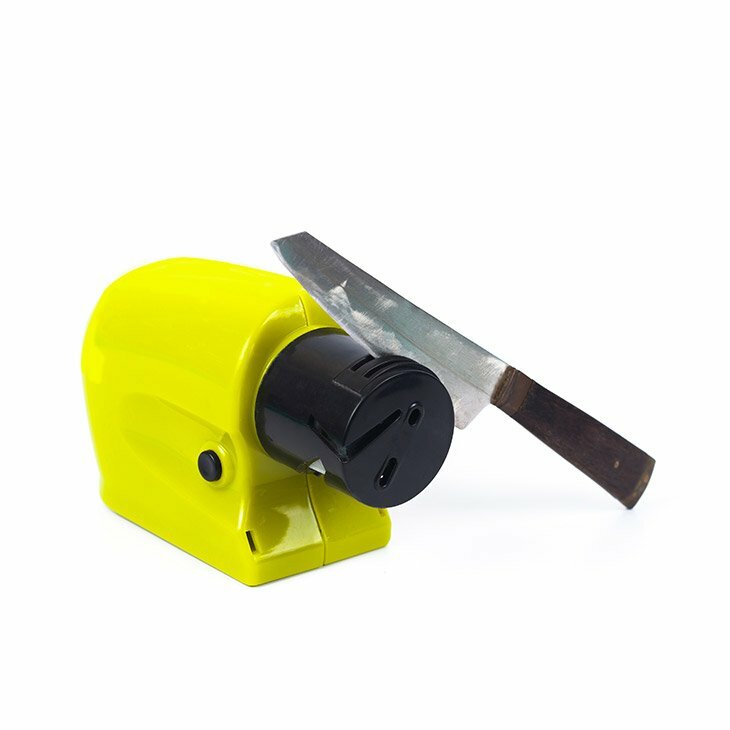 However, note that sharpeners can remove a lot more metal than required, thus giving your blades a rounded shape that in turn leads to quicker wear and tear. This is an age-old technique any grand-mom can tell you. 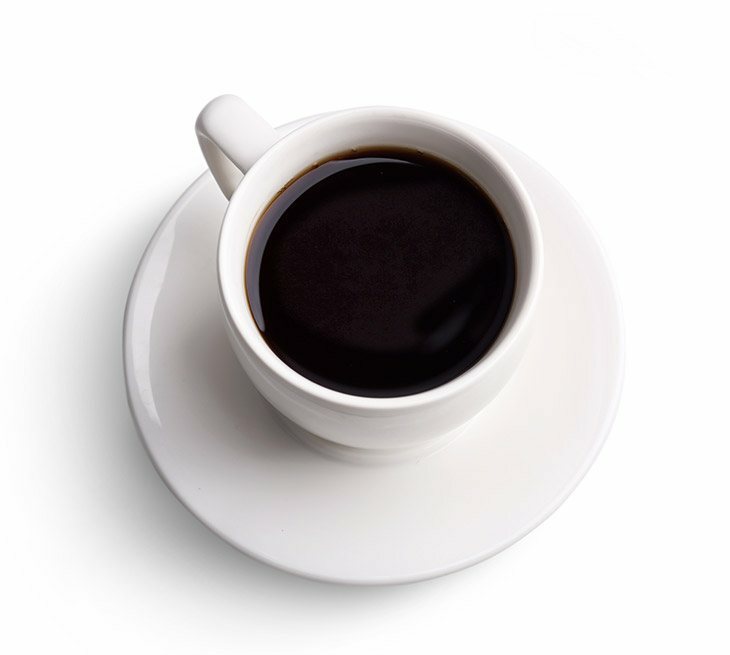 No need for machines or stones, your ceramic coffee mug can help you get those sharp edges. This is handy to sharpen small knives. All you need to do is use the unglazed bottom of the ceramic mug, with mild pressure, you could draw the blade across the rough surface while holding the knife at a steady 15 to 20-degree angle.